A purge dose of Orenda chemicals is the initial dose to overpower the targeted contaminant and also leave a residual for the future. An Orenda purge is usually one quart per ten thousand gallons (32 fl.oz./10,000 gallons). Let’s use CV-600 enzymes as an example. The CV-600 purge puts enough enzymes in circulation to not only clean the water, but also leave behind a residual. It’s kind of like chlorine in that way…you need a residual for CV-600 to keep up with the bather demand. Orenda chemicals address specific problems, not every problem. SC-1000 chelates metals (including calcium, which is an alkali earth metal) to prevent stains, metal oxidation and carbonate scale. CV-600 and CV-700 enzymes break down and remove non-living organics, like bather waste. We purge because these issues stem from contaminants that are spread around in the water, and we need enough in the first dose to overcome the contaminants. Think about it. Metals are in solution or suspension, and bather waste is constantly being introduced into the water. Point-of-contact systems like UV, filters, and even strainer baskets are only effective when water passes through them. But contaminants are out in the pool where people are…and that’s where Orenda products need to be too, right alongside residual chlorine. The purge dose can overpower these contaminants and still leave behind a residual for the future. There are only some rare exceptions to this, like if metals in the tap water are absurdly high, or some other anomaly like that. Without a purge dose, the existing contaminants may not be addressed, and you never get ahead of the problem. For example, if you only chelate 70% of the metals in your water…that still leaves behind 30% of the metals in your water that will be oxidized by chlorine, and that 30% could be plenty to leave stains or change the color of your water. It’s not that SC-1000 failed, it’s that there was not enough of it to cover the demand. The same can happen with enzymes when customers just start with the weekly maintenance dose and do not purge at the start. After the purge, the weekly maintenance dose replenishes what has been used up. Enzymes eventually get used up removing carbon-based waste (non-living organics), just like SC-1000 gets used up chelating metals (including calcium). Because your tap water and bather load introduce new contaminants, the weekly maintenance dose is important. Fortunately, Orenda maintenance doses are usually small and affordable. It all depends on your pool and it’s needs. If your pool has special needs, just contact us and we can help create a custom dosing program for you. Green or Mustard Algae: Shock the pool with chlorine and immediately follow up with 16-32 fl.oz./10,000 gallons of PR-10,000 around the perimeter of the pool. The next day, vacuum and clean up the debris (dead algae, phosphate precipitate, leaves, and whatever else may be lurking down there…) and purge with CV-600 or CV-700 enzymes. The chlorine shock kills the algae, PR-10,000 wipes out the phosphates, and the CV-600/700 enzymes remove carbon waste. Black Algae: Purge with CV-600 enzymes. The next day, thoroughly brush the algae with a wire brush, then shock with chlorine. Immediately follow up with 16-32 fl.oz./10,000 gallons of PR-10,000 in the affected area. The enzymes up front can help to soften the “shield” protecting black algae from chlorine. Brushing should remove at least part of that “shield”, enough to expose the black algae to the chlorine shock. Chlorine kills the algae, which releases its micronutrients like phosphates, and PR-10,000 wipes out the phosphates. Cloudy, dirty water: Purge with CV-600 enzymes and 8 fl.oz./10,000 gallons of PR-10,000. Source: Chlorine/CYA and Nitrogen Trichloride – Falk, Richard A. So, there really is no comparison as you can see. 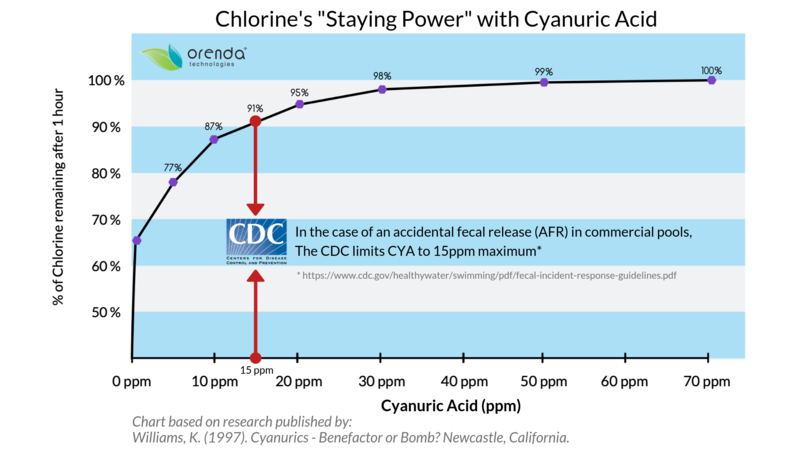 CYA dramatically plummets the percentage of strong chlorine (HOCl). What do you think that does to your sanitizer’s strength? What does that do for the killing power of chlorine, as discussed in both Pillar 2 and Pillar 3? Clearly, the higher the CYA, the weaker the chlorine. And if 7.5% of CYA is your minimum Free Chlorine, how about a maximum CYA? That ratio is 20:1, meaning 20ppm CYA for every 1ppm Free Chlorine. We didn’t make it up, we’re just sharing the information. As if its impact on chlorine were not enough, there’s something else you should know. 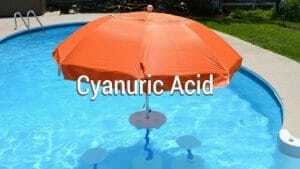 Cyanuric acid has some buffering capacity, due to its ability to accept take and release hydrogen. Remember those three nitrogen bonds that form weak connections with chlorine? Yeah, they can also form weak connections with hydrogen, which means CYA is a buffer. It’s called cyanurate alkalinity. In order to correctly calculate the LSI, the formula calls for the carbonate alkalinity, not the total alkalinity. To calculate carbonate alkalinity, we must deduct a portion of the CYA level in our water from the Total Alkalinity. Don’t worry, if you use the Orenda App, this math is all done for you. If you don’t the rule of thumb is to take 1/3 of your CYA ppm, and subtract it from your total alkalinity ppm. If you want to be exact, the factor depends on the pH of your water, and now we’re careening down a deep rabbit hole the size of a canyon. See what happens when we start talking about CYA? There’s so much to cover because CYA can control a pool…let’s…let’s just move on now. Sorry. If your pool is over stabilized, let’s correct the problem. There are a few products that claim to remove CYA from water (with mixed results), and for those of you with water restrictions, reverse osmosis may be an option. But without a doubt, the safest, easiest and most affordable way to remove CYA is to drain some water and refill with fresh water. Dilution is the best solution in our opinion. This can include backwashing more, doing periodic drains or bleed offs, etc. The math is easy too: want to cut your CYA level in half? Drain half your pool and refill it…well, it will be close anyway. Be aware that CYA also can absorb or adhere to pool finishes. We have heard of many cases where the pool has been drained and refilled, and there’s already a CYA level in it. That happens because the CYA was stuck to the walls. It’s wild. Trichloride – Falk, Richard A.
Bather waste. Non-Living Organics. Body Butter. Grease and oils. Whatever you want to call the organic waste products that contaminate swimming pools, managing them is the second of Orenda’s Four Pillars. So what do we know about non-living organics? 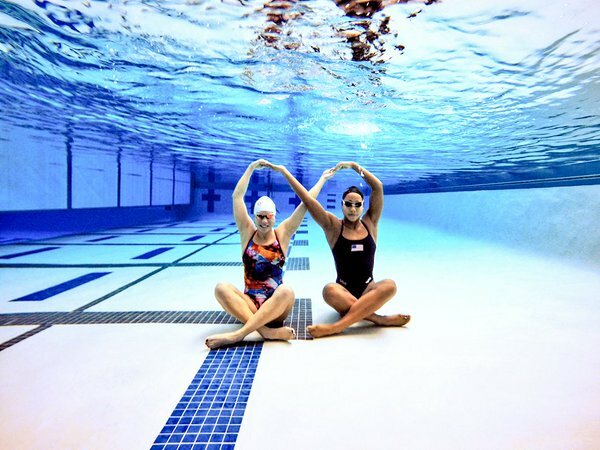 We know that swimmers and animals that use the pool leave behind oils and other carbon-based waste, and chlorine will try to oxidize these contaminants. Unfortunately, oxidation is not chlorine’s specialty. 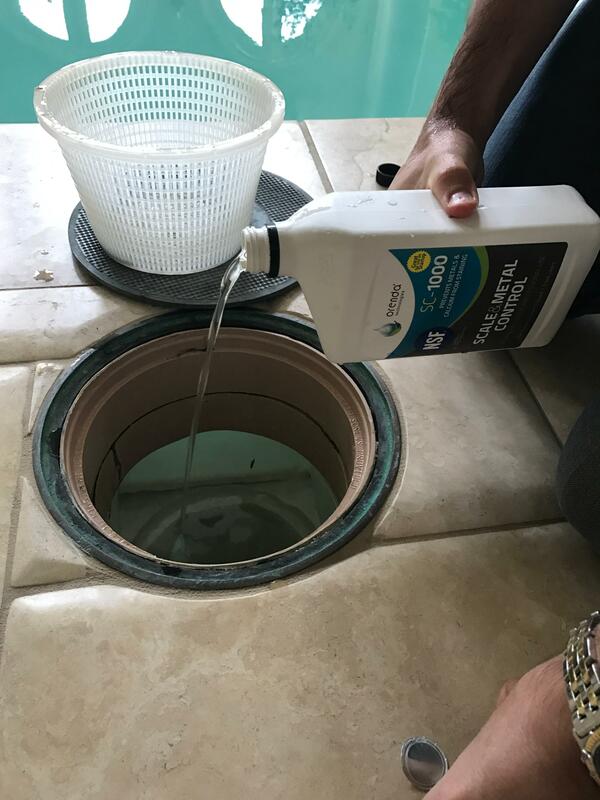 Chlorine–or more specifically, the strong form of chlorine in water, Hypochlorous Acid (HOCl)–is primarily a sanitizer and disinfectant. Action Step: Supplement chlorine with enzymes and/or secondary oxidation systems to better manage non-living organic waste. We should start with the basics of oxidation and reduction, so you know how non-living organics are handled with chlorine alone. Then, we will focus on alternative ways to manage organic waste that do not involve chlorine itself (i.e. enzymes and secondary systems). After all, this is the second pillar of proactive pool care! 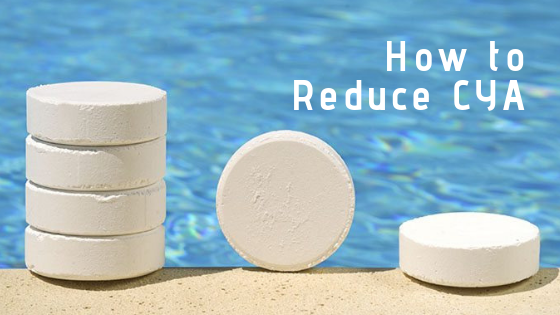 This topic is about making chlorine more efficient, not using it up faster. Using chlorine alone is not proactive, it is reactive. As usual on the Orenda blog, this article aims to simplify chemistry, so it can be more easily understood. Comment below if you want further clarification. We will also hyperlink out to some of our sources if you want to get all science-y about this. It’s cool, we’re nerds too. What is Oxidation? And what is Reduction? Oxidation is the loss of electrons by an atom, molecule, or ion. Often, the lost electrons are replaced by oxygen (but not always). Reduction is the net gain of electrons by an atom, molecule, or ion. This means that electrons transfer from one thing to another. The rate of electron transfer can be measured in millivolts, which we in the pool business know as Oxidation Reduction Potential, or ORP. So did you catch that? Reduction is exactly the opposite of what it sounds like…it actually GAINS an electron, while oxidation is when something loses an electron. Read this to learn more about how oxidation and reduction differ from sanitation and disinfection. Should we rely on chlorine to handle organics? Remember, we are talking about the second of Four Pillars of Proactive Pool Care. Relying solely on chlorine to oxidize organics out of the water is hardly proactive. We need a residual of free available chlorine in our water for sanitation/disinfection. If chlorine is used up oxidizing organic waste, its ability to sanitize can be affected. Think of it like this: chlorine is an excellent sanitizer and disinfectant. By comparison, chlorine is a relatively weak oxidizer. And yet, the vast majority of contaminants that chlorine attacks are non-living organics. If you had a high-performing salesperson for your company–but they were really slow with computers–would you stick them in the office most of the time to do accounting and administrative work? Hopefully not; it makes more sense to have them out doing what they do best…selling. The same holds true for chlorine. Let chlorine do what it does best…sanitize. Want to be proactive about your water quality? You will need to think in terms of helping chlorine handle organic waste. There are secondary systems like ozone, advanced oxidation (AOP) and hyper-dissolved oxygen (HDO) that can help a lot. And of course, there are enzymes. This is an underwater photo, without editing or filters, showing the water clarity that is possible with Enzymes. While chlorine gets used up quickly oxidizing bather waste, enzymes devour bather waste with ease. That said, enzymes are NOT any form of sanitizer, so they don’t affect any living organisms. Enzymes only go after carbon-based organic waste, like body oils, sweat, lotions, sunscreen, tanning oils, cosmetics, hair products, deodorants and pet dander. These non-living organic contaminants are the bulk of what chlorine has to address anyway. Why not let enzymes do the heavy lifting? World-class water clarity could be the result. Managing non-living organics is Orenda’s second pillar of proactive pool care. We are often asked if our enzymes reduce combined chlorine. The short answer is no, enzymes do not reduce combined chlorine directly. Enzymes can dramatically reduce the organic waste in the water, which frees up chlorine to sanitize, but also to oxidize nitrogen compounds. Some customers may see a decrease in combined chlorine after using enzymes, but we think that is because chlorine is more available to address the nitrogen. Here are some peer-reviewed scientific sources if you want to learn more about how chlorine handles nitrogen in water. The Secrets of Breakpoint Chlorination – Anderson, Bowman, Mealy et. al. As of now, we do not know of an enzyme in the pool business that breaks down or removes nitrogen safely. So for now, nitrogen compounds (ammonia, nitrates, etc.) must go through the breakpoint chlorination process. The process involves converting these compounds into monochloramine, then dichloramine, and eventually trichloramine. UV systems can deactivate mono- and dichloramines, which is helpful, but it is limited to what water passes through the UV chamber. Learn more about chloramines here. And learn more about nitrates and other nitrogen compounds here.